Last week we nearly lost out minds when we discovered nine hidden lost pallets of Officially Licensed Collectable Peanut Garden Statues back from 2003 sitting in one of our manufacturers warehouses! We could not wait to get up some of these favorite Peanut Classics on the website! 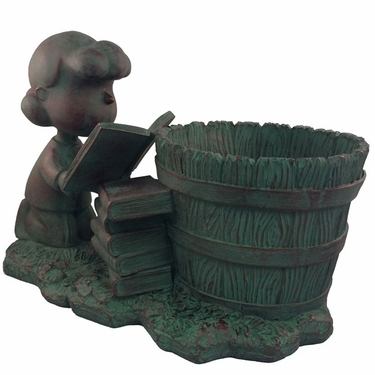 Weather-Resistant Solid Cast Resin: 10"L x 7.25"H x 6"W, holds 5" pot. Bronze Patina finish.